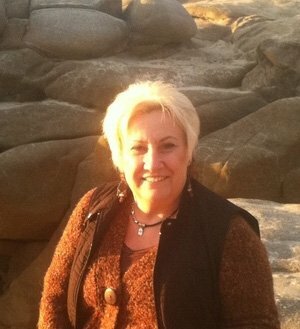 Meet Patricia Peters, the founder of Stepping Into Change. I myself, have been in recovery for over 25 years. I understand a persons’ pain, fear and confusion when considering Stepping Into Change, any change! Years ago, I faced the biggest challenge of my life. That challenge required change and that change encouraged me to re-explore my dreams, the dreams I let go of due to my insecurities and ultimately my alcoholism and addiction. I accepted help, faced my fears, and re-visitied my dreams. As a result, I returned to school and attained my degree in Psychology and Addictions. Along the way I’ve continued to strengthen my knowledge in Addictions, Family Dynamics and as an Interventionist. Over the years, I’ve eagerly embraced every opportunity to expand my clinical skills. I continue to attendcertification trainings with renowned professionals throughout the country addressing Addictions, Family Dynamics, Psychodrama, Integrative Breath work and the various Intervention models. As a consultant, I have developed numerous programs and seminars for corporations and treatment providers. Whether I am facilitating programs for families, presenting for a corporation or working side by side with an individual, I am dedicated to my work and time spent with each individual. I believe in the power of healing. My ongoing respect in my own recovery process fosters a caring respect for my clients and their personal journey. I believe the path to healing is one, which requires hert-felt respect of the process in order to create and maintain a safe atmosphere. Together we can make a change and find the help you’ve been seeking. Whether you’re a family member struggling in living with an alcoholic or addict or you’re in the depths of the addiction yourself, life can change! Call and connect, I would be honored to guide you and your family out of the problem and into a solution. Together we can turn this around and get back to the business of enjoying life, our family and our loved ones!